Thank you for supporting HTF when you preorder using the link below. If you are using an adblocker you will not see link. Wow! I am shocked at this announcement. One of my truly 'Holy Grail' releases has finally been announced. I don't purchase a bunch of media these days but this will definitely be added to the library. Wow, that is pretty steep, even for a entire season of Bluray. I'll probably order it anyways, but it gives me pause. $100 is the MSRP so hopefully it'll come down to $80 or $75 with the usual pre-release discounts. Great news. Been waiting for the date for months since it was 1st announced last August. This show should benefit from Blu Ray treatment even more than The Twilight Zone. Kino titles are usually discounted well. Their movies are msrp $29.99 and are usually available $14.99-$17.99. I wouldn't be surprised to see this for $60.00 by release date. It was actually announced by Kino last August we've just been waiting for the release date. As is evident by my surprise, I don't really stay on top of these announcements. My purchasing of media has really tailed off over the last few years so I don't spend a lot of time tracking releases. There are undoubtedly other titles that I would be thrilled to see and possibly purchase that simply have slipped under my radar. HT is a much more casual pursuit for me these days. This show should benefit from Blu Ray treatment even more than The Twilight Zone. Yes indeed. The work of multiple Academy Award winning cinematographer Conrad Hall should look spectacular on blu-ray. I will definitely order through HTF since that is where I got the news of this great release. And with an Amazon pre-order you'll be guaranteed of a lower price when it hits. Being from Kino, based on other pre-order prices from them, I'm expecting at least a $60 price at some point. I've had several pre-orders drop significantly for an hour or less yet still got the lower price, even if it was a price mistake. Most of those I'd never known there was a lower price and would have missed it without that price guarantee. It's one of the few things Amazon still does right. Same here. Considering that labels/networks like HBO charge $80 for ten episode or less seasons of their shows, which already have digital masters and need no fancy work to bring to Blu-ray, $75-100 for over thirty episodes seems reasonable to me. Not cheap, but reasonable. I think the pricing is in line with other Kino releases. 32 one hour episodes is a lot of material. Not sure if any TV show with that many one hour episodes has been released on blu ray before as one set. Kino's normal list price is $29.99 for 1-2 blu rays. This is 7 so 6 blu rays would be $99.99 with the 7th one free. More than likely that is the formula that they used. Yes, we are getting a lot of value here, even at MRSP…I will gladly pay the street date price with a smile on my face. Kino Lorber has filled my shelves and viewing hours with well over a 100 Blu Ray releases in the last 4 years alone, so many classic feature films on Region A HD for the first time ever, and now with some classic American TV shows coming as well. (Hope for more) Kino Lorber have gained my admiration and trust, and beyond that, a genuine affection and loyalty that I believe they deserve. Despite being flippers, the old MGM DVD were good enough for most shows in my library, but OUTER LIMITS is such an essential show in the totality of my Television youth and collecting mindset that I must have it in it's best possible presentation…and considering how good the old DVD's look, these new BD scans and transfers will look stunning! Before everybody starts going off on the deep end about the price just remember what the original manufacturer price was for each season of Twilight Zone. First season has 32 episodes it's going to be a little more costly the second season has less it'll probably cost less but in time these will fall in line the same as the Twilight Zone episodes I only wish that we could be discussing this about two other TV series as well. Alfred Hitchcock Presents, and One Step Beyond. If there was a bonus to be thrown in there it would be Kolchak: The Night Stalker. We as fans of classic television like this ask for these but then comes the idea of we have to pay for it I'm not taking either side good or bad my pre-order went in today I wait for Amazon to do what they're going to do either way I'm going to get to watch a program I want the is only a couple of months older than I am I wait to see what Kino's has done. 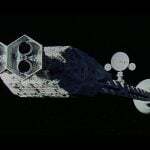 "Lost in Space" comes to mind and it was all three seasons for $99. It also went through some extensive clean up work before being released on blu-ray. Generally, speaking I'd say most TV series are cheaper based on disk or material length than moves so I don't really see that as a valid argument. 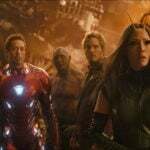 However, "Lost in Space" was released by the studio so they have time and other ways to recoup costs than a third party like Kino with a limited license period, so I can see that coming into play. But, we also have to remember CBS shot themselves in the foot with I Love Lucy and TAGS on blu-ray and they were filled with extras and bombed with a $60 on release day discount. Big fans will obviously buy on initial release, the question will be is that enough? Will the average fan snub the initial pricing knowing larger discounts may come later if initial sales are questionable. Lots of people brag of waiting and getting Star Trek TNG for a fraction of the price from the UK. Many went with Batman 1966 from Italy to save big bucks. Of course this probably won't show up in other regions until after the Kino license expires. I hope it works with "Outer Limits" and both seasons are released. However, I'm going to have to wait this one out for $50 or less per season. The DVDs are just fine for now. I bought BD's of ILL, TAGS, and Star Trek TNG on release day. I can't justify that anymore with loads of content still unwatched. I'm eager to know what is the complete list of extras? For the time being, we already know they have prepared audio commentaries. Glad to see it finally announced; I was beginning to wonder if they were going to make the 3/27 date. BTW, nice reference to TOL on X-Files this week. Ordered. Got to support KL on this. And Amazon won't charge me until shipping, right? Correct and if the price drops, you get it for whatever price is the lowest. True, I forgot about the sale. However, if OL season 1 at release date is between $60 and $70 that is still in the same range as ILL, TAGS, and Star Trek TNG upon release, and apparently none lived up to sales expectation. It just appears like a classic TV show treading above $50 a season, while fine for big fans, is a little too high for the more casual fan, and I would think they need the casual fan to purchase. I don't think season 2 is in any jeopardy since I believe they are already committed to finish. However, if sales are just okay it may make them think twice before tackling another TV series. I have no problem with the price. I still remember what I paid per episode for VHS in the 90's. I was glad to have them in my home then, and I'll be glad to have them when they arrive in my home in HD with commentaries. 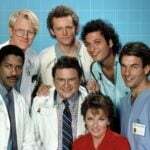 This is a landmark series in television. The sales part is exactly true. In the end we as fans of classic TV that want to purchase them on DVD or Blu Ray are the losers if we don't buy what we say we want because its a little more than we think it should be. The only message the studio or licensing company like Kino gets is it didn't sell as well as we thought the demand is obviously not there, no more classic TV for us. The same is true for I Love Lucy on blu. So many complaints on Amazon about no more seasons but not enough people bought it at the price CBS thought they needed to make a profit. Since people were not willing to pay that much they should have dropped the night of broadcast feature it would probably have dropped the list price down to $69.99. People don't realize how expensive and time consuming it was to research, re-master and reassemble all the footage needed for the night of broadcast episodes for 30+ episodes. That's the reason most sets that offer an episode with original commercials only offer one episode that way. Very costly to reproduce. I absolutely hate that packaging! Why couldn't they just use standard keep cases? Digipaks are horrible and make a case 2-4 times larger than it needs to be! Perhaps, there are 7 Blu-ray discs and 1 SD dvd disc? We're hoping for a Fall release. The second season will include commentaries, booklets and a disc of bonus features. It's being released on both DVD and BD. The DVD set comprises of 8 discs; the BD set is 7 discs. Content should be the same on both but BD holds more so that's probably why it takes less Blu-rays to hold the same amount of stuff as DVDs. Absolutely agree. Digipaks, and also Digibooks, are a pain. I can also do without the books (not to mention the toys, etc. I've seen on other sets) and I rarely bother with commentary tracks. In short, I won't be buying this until the packaging gets less extravagant. It just dropped again this morning, to 26% off. Down to $73.39. Order now? Or wait? Order now. If it drops more you'll get the lower price automatically. I pre-ordered at the original $99.95 and now show the $73.39 price on my order. If it goes up you still get the lowest price automatically. You can always cancel three (safest as two may be too short) or more days before drop date to stop the shipment if you change your mind. Isn't Craig Beam a member here? 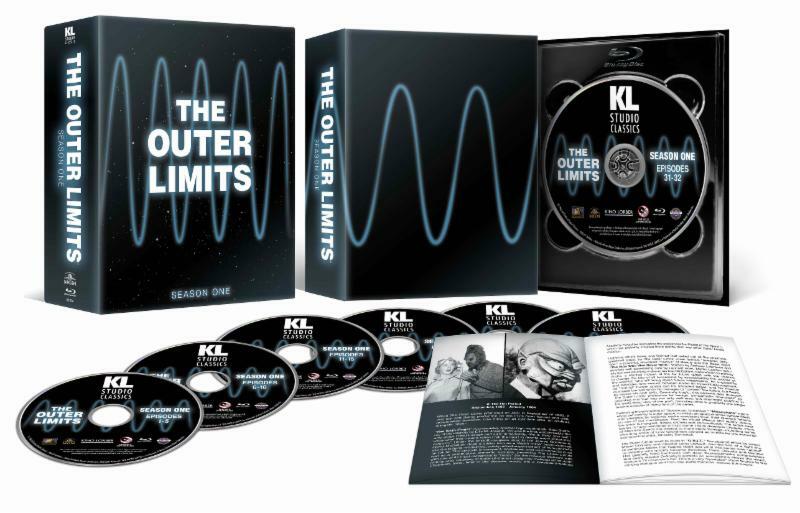 For those who might be interested…KL's season one Outer Limits Blu-ray set has price dropped on Amazon Canada to $69.97 CANADIAN dollars…at the current exchange rate, that is $54.22 AMERICAN dollars…even with shipping fees, some of you USA customers might save considerably by ordering from Amazon Canada…the inexplicable automated Amazon pricing algorithms often don't make any sense from my perspective, and in this case I'm not complaining, ha, ha… of course, the recent price drop (down $17 Canadian, $13.17 American) coincided with the Canadian dollar FALLING against the U.S. greenback, which of course should have made the season one Blu pricier! If you're in the USA then you might as well buy it directly from Kino. The Kino price is $64.97 including free shipping and no sales tax. At Amazon.ca, once I placed the set in my basket and got to the final page before clicking on place your order in US dollars, the final price in American dollars was $64.43 which includes international shipping. It's a 54 cent difference, but I bet you get your Kino order faster and it's easier to exchange if there is a problem. The Amazon.ca price is $64.05 for me. I'd rather order direct from Kino and give them all the profit rather than have to share any with Amazon! I need to get that done before they raise their online price! Deep Discount is $58 with FS and no sales tax for most people. At some point this month DD is sure to have a 15% code so a chance to drop it below $50 around release date ASSUMING it stays in stock and same price. And for a slightly lower price, DVD Planet has it for $56.22 w/free shipping (don't know about tax – I don't pay it when ordering from them). I think they're owned by the the same parent company as DeepDiscount. Finally pre-ordered this one. Guess my son will now get the Australian complete DVD set that I picked up about this time last year. Will pick up the second in the fall I guess. Can't wait to view these HD masters. and witness the quality of the restored prints. Deep Discount down to $54 now. Orders from Diabolik have starting shipping and 2-3 people have received copies already. I just ordered a set from Diabolik. There's no way I can wait 'til the 27th. You weren't graced with a copy after having been involved in the release? I think I'm getting one. Not 100% sure. Even if I am, I'm gonna want more than one copy. Ouch, I've still got two more weeks to wait. New York, NY – March 22, 2018 – Kino Lorber Studio Classics is proud to announce the Blu-ray and DVD release of Season One of The Outer Limits, the hit television anthology series, created by Leslie Stevens, that became a benchmark for science-fiction shows to follow. This seven-disc collection contains all 32 episodes of Season One, newly restored in HD. 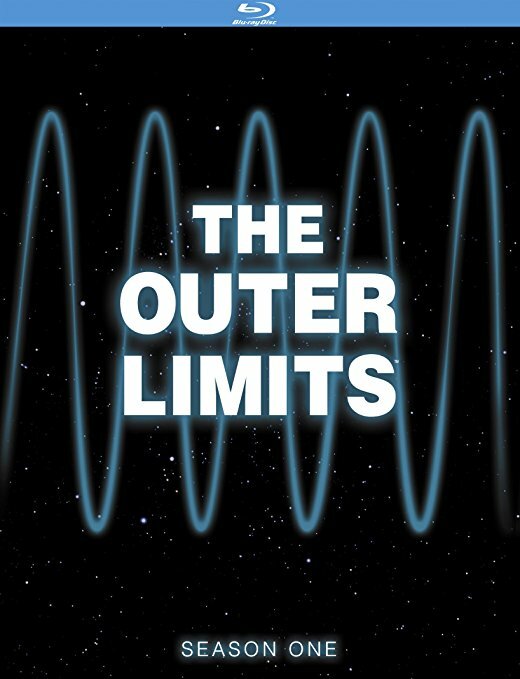 The Outer Limits: Season One will be released on Blu-ray and DVD March 27, with a SRP of $99.95 for the Blu-ray and $79.95 for the DVD. Special features include "There is Nothing Wrong With Your Television Set", a 40 page booklet essay by David J. Schow, and audio commentaries by David J. Schow (The Outer Limits Companion), Tim Lucas (Mario Bava: All the Colors of the Dark; Video Watchblog), Craig Beam (My Life in the Glow of the Outer Limits), Dr. Reba Wissner (We Will Control All That You Hear: The Outer Limits & The Aural Imagination), Gary Gerani (Fantastic Television), Michael Hyatt (film historian), and Steve Mitchell (King Cohen: The Wild World of Filmmaker Larry Cohen). You hold in your hands an artifact from a time now vanished forever; a compendium of portals into worlds unknown. A seven-disc set that controls over 27 hours of transmission from the 1963-1964 series, this vessel has sought you out for one specific purpose: to expand your mind to The Outer Limits! 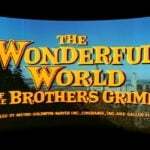 Guest stars include Ed Asner, Macdonald Carey, Dabney Coleman, Robert Culp, Bruce Dern, Robert Duvall, Mimsy Farmer, Don Gordon, Harry Guardino, Gloria Grahame, Signe Hasso, Miriam Hopkins, Richard Jaeckel, Sally Kellerman, Shirley Knight, Martin Landau, George Macready, John Marley, David McCallum, Ralph Meeker, Gary Merrill, Vera Miles, Leonard Nimoy, Simon Oakland, Warren Oates, Carroll O'Connor, Donald Pleasence, Cliff Robertson, Ruth Roman, Barbara Rush, Martin Sheen, Henry Silva and many more. Thanks for Kino tip. Just ordered from them. In my experience I've found Amazon CA to be thee worst customer service on the planet for US orders. Quit even bothering with them years ago. They take longer than Amazon UK. Doing a search for this disc, the hero link shows a 3rd party seller for ~90CAD. Click on the other offers, hey! there's Amazon for ~70CAD. 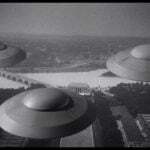 Does anyone know if copies of the Outer Limits Blu-ray available in Canada have bilingual (English/French) packaging? What are the Chances of a Matlock Reboot ?